This was a fun day out and workout with friends. 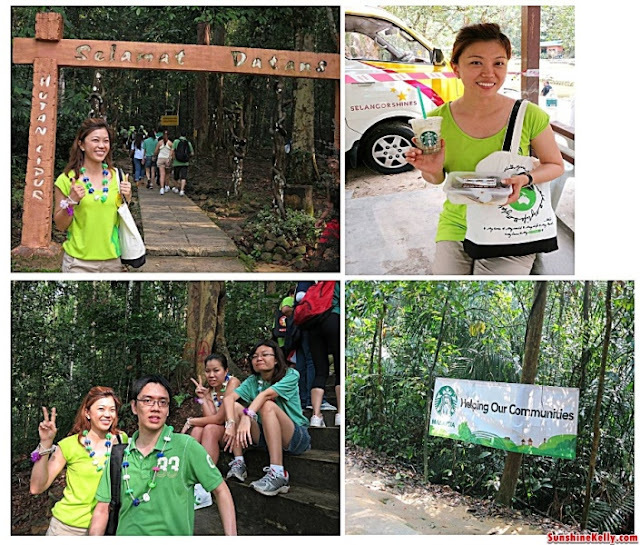 My friends and I joined Starbucks Green Treasure Hunt on Saturday 30th April 2013 in Hutan Lipur Sungai Kanching, Templers Park, Selangor. 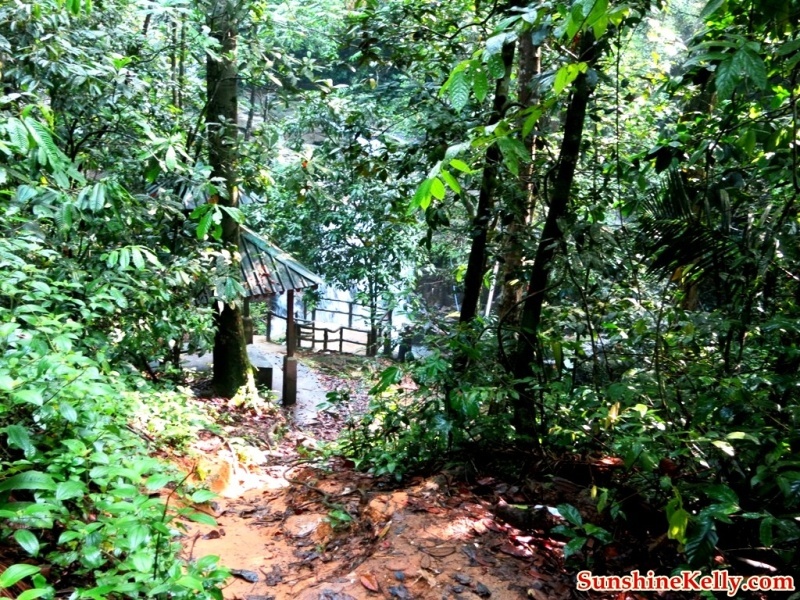 It was my first time to Hutan Lipur Sungai Kanching, I like the green, scenery and water fall there was amazing. Spotted many teams come in their creative and best outfit to suit the theme Go Green in Style. 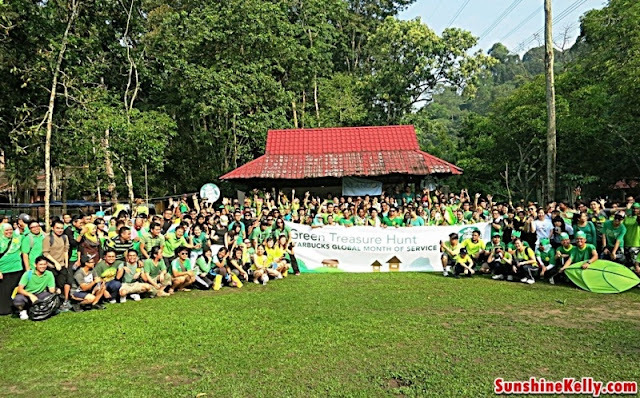 Looks like some teams are pro in treasure hunt. 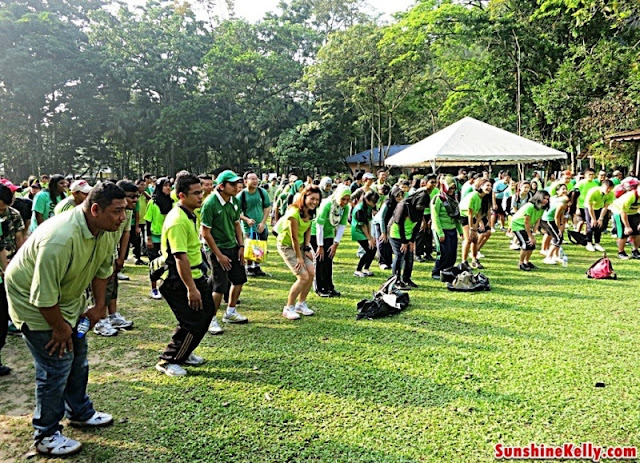 The event kick off with a welcome speech and short briefing about the general rules for this treasure hunt, followed by warm up session and then flagged of by En Salleharon, Public Affairs and Digital Strategy Manager, Berjaya Starbucks Coffee and Puan Norol Asyhikin, General Manager, Tourism Selangor. 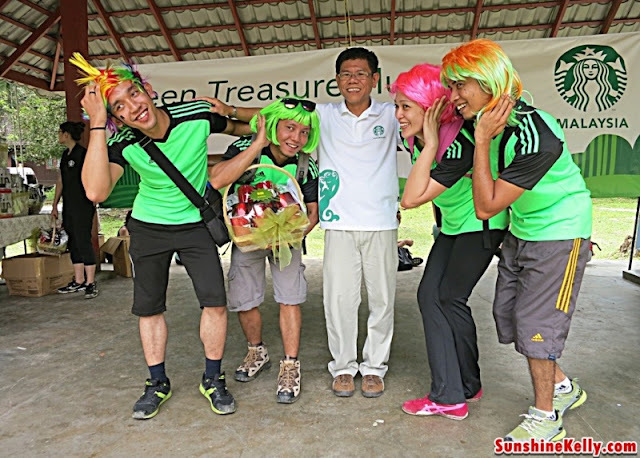 This Green Treasure Hunt was part of Global Month of Service (GMoS) activities. 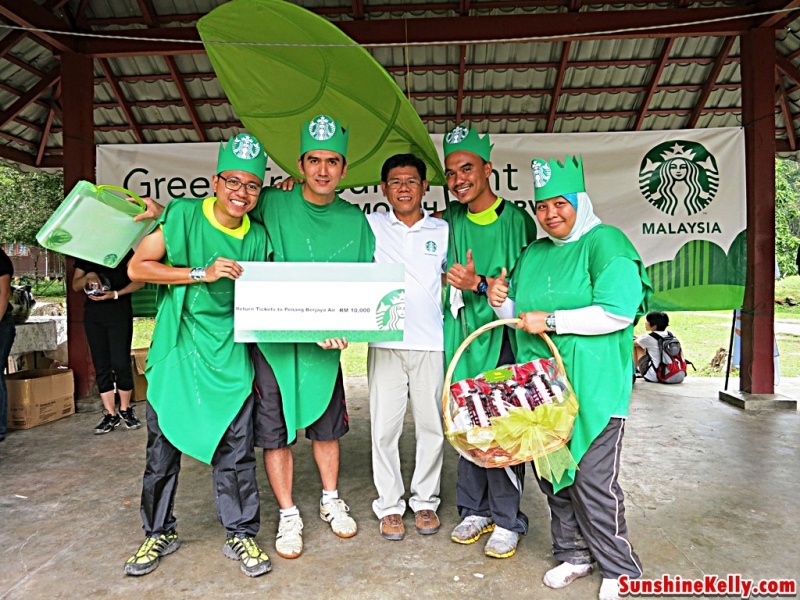 In collaboration with Tourism Selangor, Berjaya Starbucks Malaysia launches its 3rd GmoS. 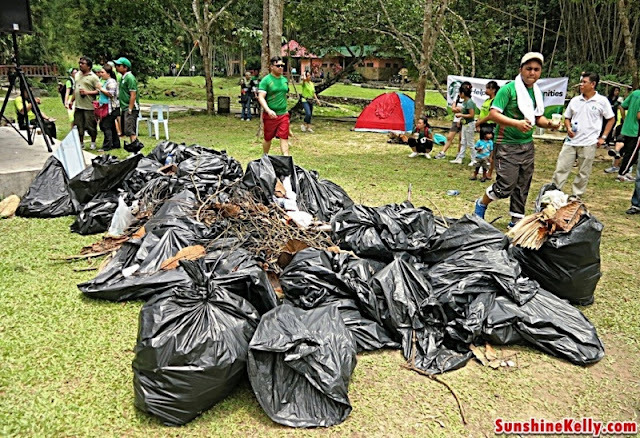 It is an annual initiative by all Starbucks Worldwide throughout the month of April. 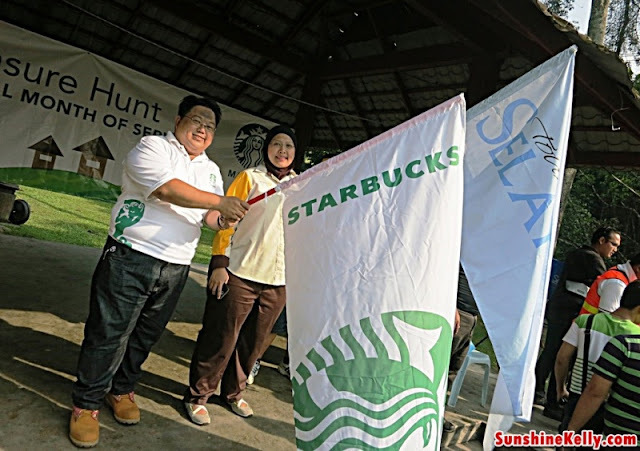 This event united all Starbucks partners (employees), business associates, customers, staff of Tourism Selangor, members of the media, and friends to a fun activity as part of a community service project that addresses the local community needs. The treasure hunt begins, we were all in a team of 4. 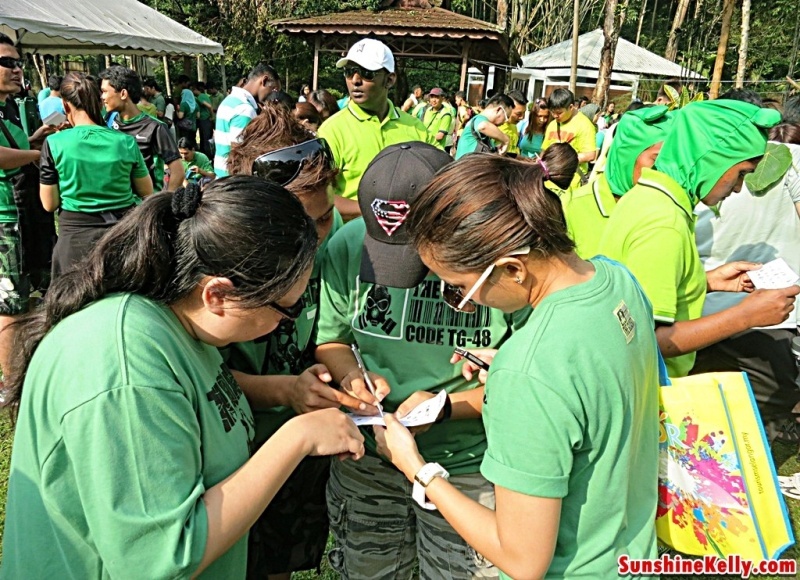 Each team were given an envelope to find our clues to the next location and answers. 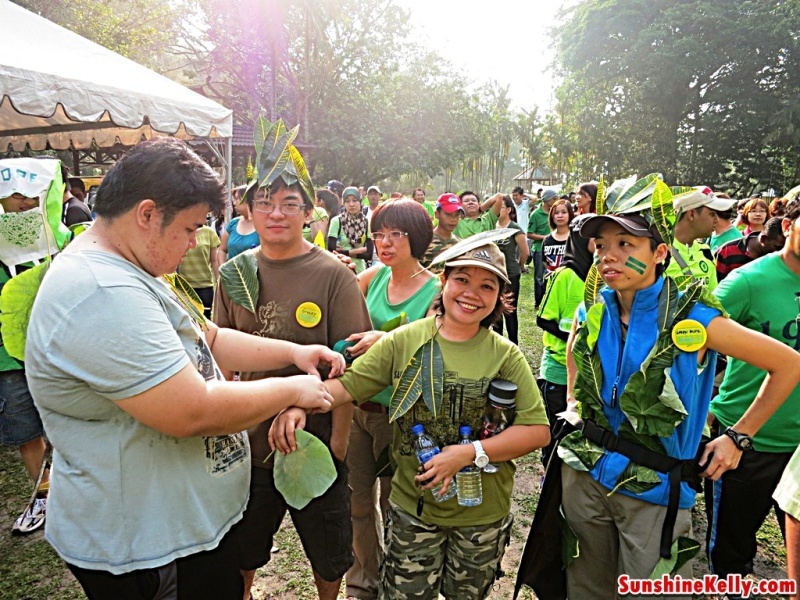 The treasure hunt get more exciting as we proceed to the next level. 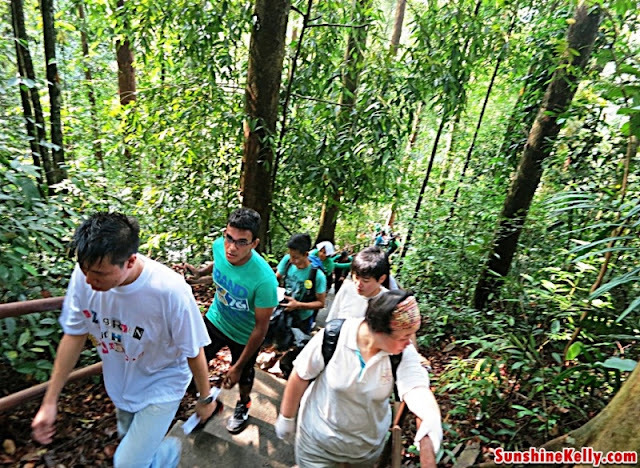 We have to climb the stairs, walk the path and hike at the same time we need to search and figure out the answers by unscrambled the words, solved the picture puzzle and counts. Plus collect rubbish along the way. 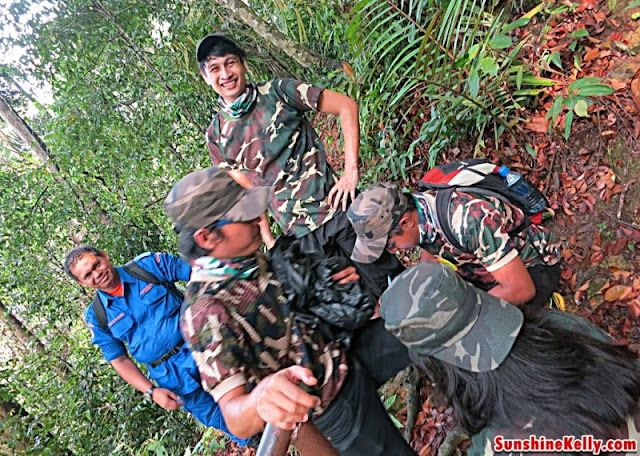 Multi tasking on the go hehehe… Quite challenging, exciting and at the same time it’s fun. 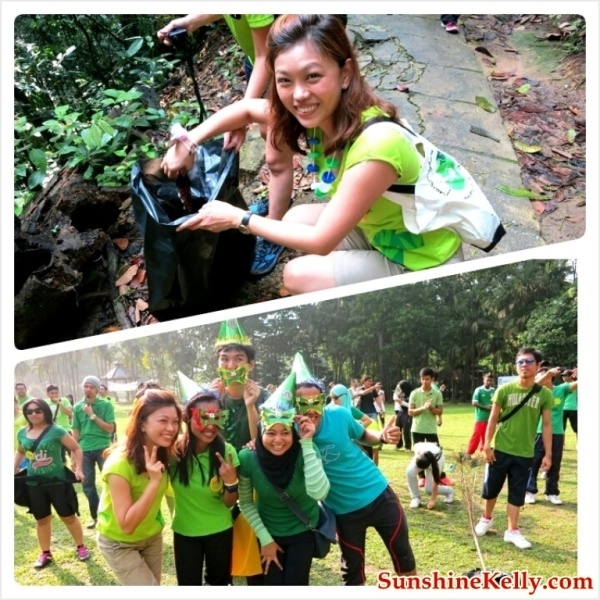 I enjoyed the greenery and fresh air too. Wow! 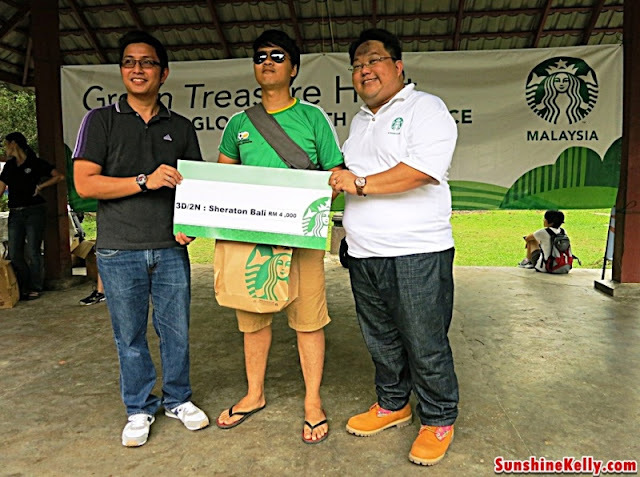 Starbucks and their sponsors were generous because all the prizes were great and tempting. Prizes worth RM10,000 from Starbucks, Tourism Malaysia and a variety of sponsors were announced, some of which were holiday packages to Bali, return flight tickets to local island getaways, mobile phones, electrical kitchenware, and 365 days of complimentary coffee. 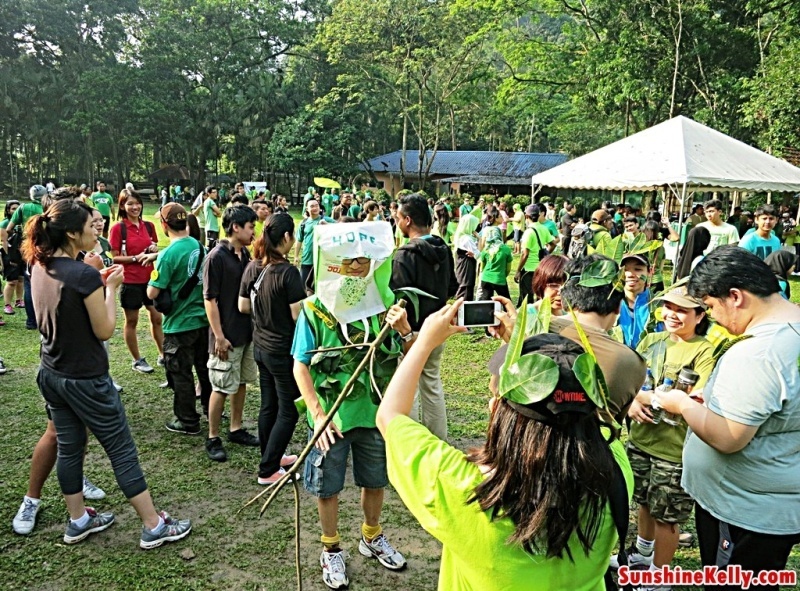 Sponsors include Berjaya Times Square Kuala Lumpur, Berjaya Hotels & Resorts, Berjaya Air, Gaya Travel Magazine, U Mobile, BCard, Borders, Krispy Kreme, Kenny Rogers, Wendys, Papa John’s, Singer and Susu Lembu Asli. All participants departed happily with goodie bags worth RM100 each. During the Global Month of Service, Starbucks organizes on-going community service projects in which takes place simultaneously around the world; where partners and customers dedicate their time and energy to create positive change in their local neighborhoods, from tree planting to book drives at orphanage homes. 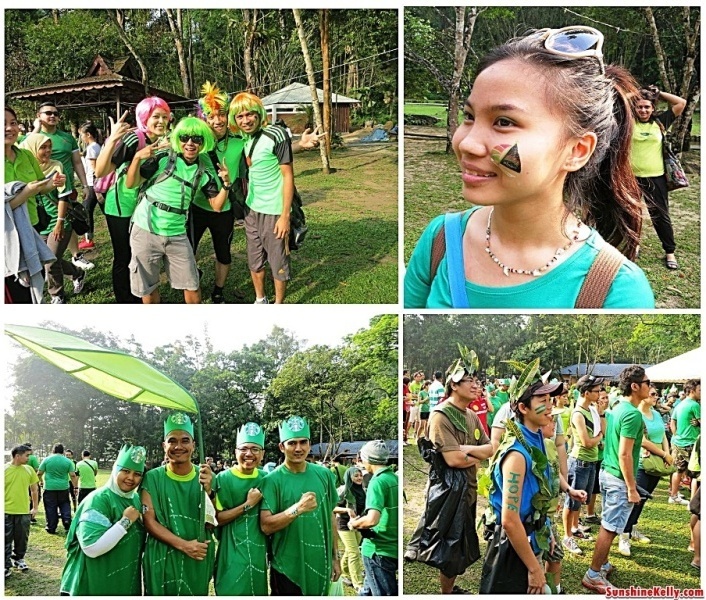 Starbucks has been extending a helping hand to all communities around the world for more than 40 years. Overall, I had a good time with my friends. Though the treasure hunt was quite challenging we had fun and lots of laugh. Oh! 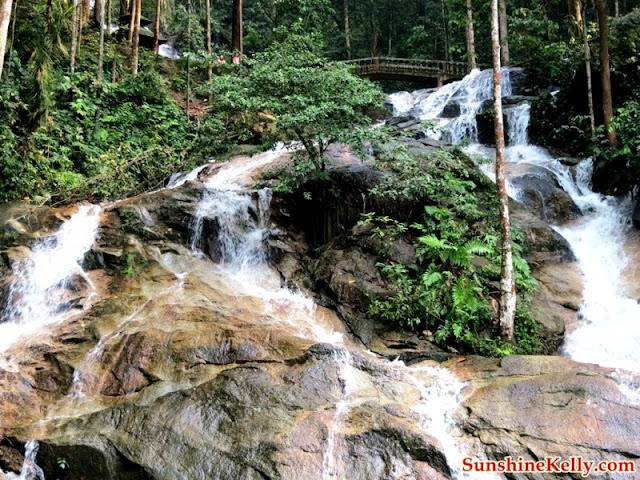 ya at the same time I also discover a great place which is not too far from KL for weekend picnics, so I am going back to Sungai Kanching again. 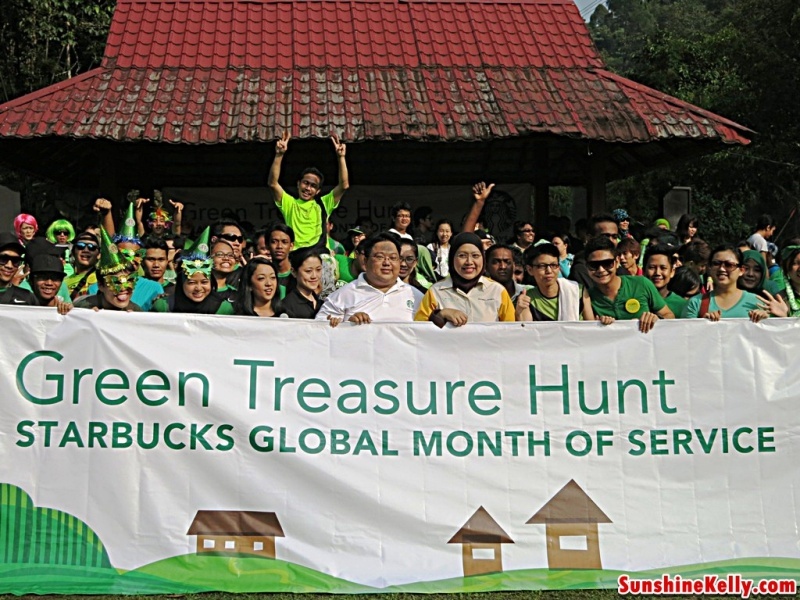 Thanks to Starbucks Malaysia for this fun outdoor treasure hunt.